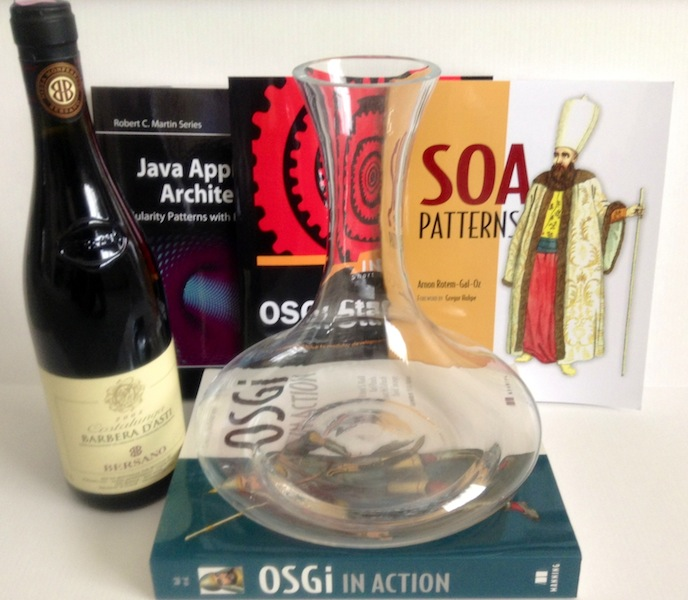 Packt Publishing celebrates their 2000th title! Packt Publishing is celebrating their 2000th title with a special ebook sale starting March 18 to 26th, 2014. 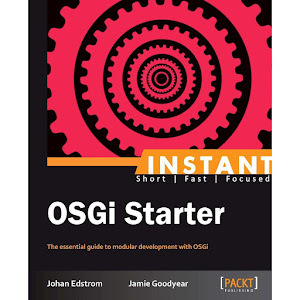 This is a great opportunity to pick up your ebook copy of OSGi Starter and Learning Apache Karaf! 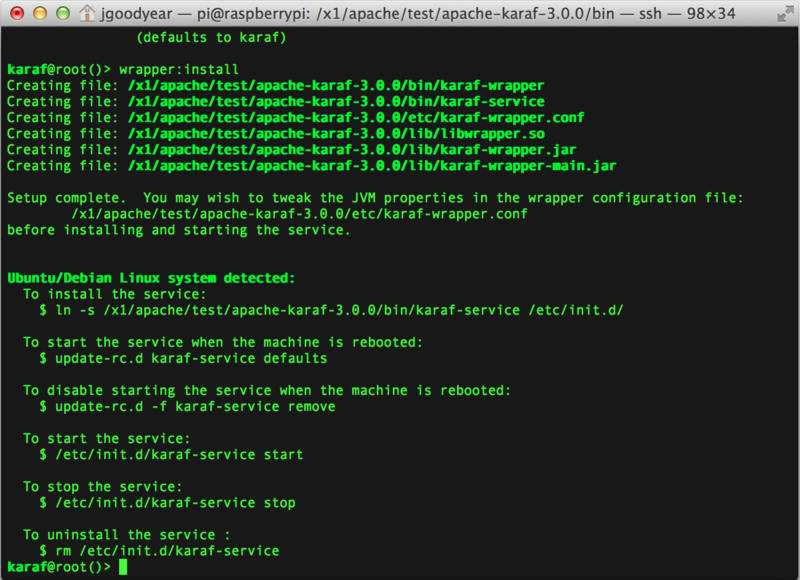 Apache Karaf 3.0.0 on Raspberry Pi! 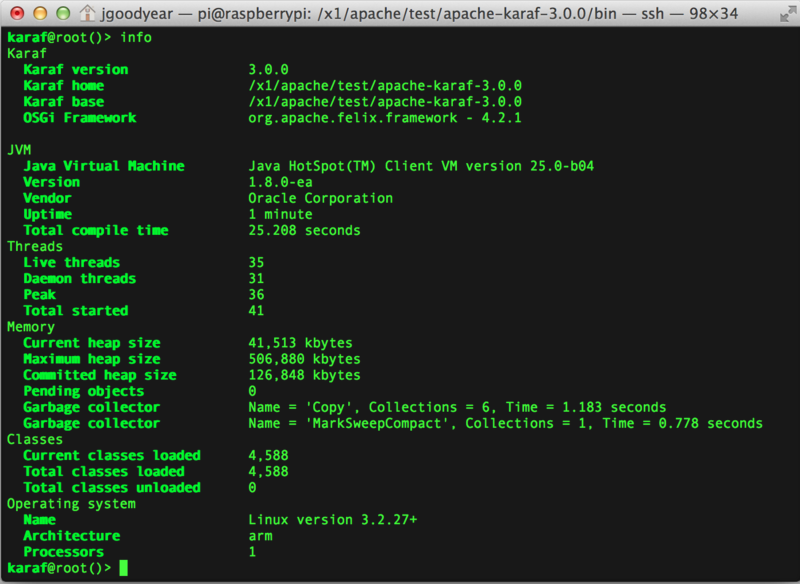 The question we've all been asking finally answered - yes, Apache Karaf 3.0.0 can run on Raspberry Pi! 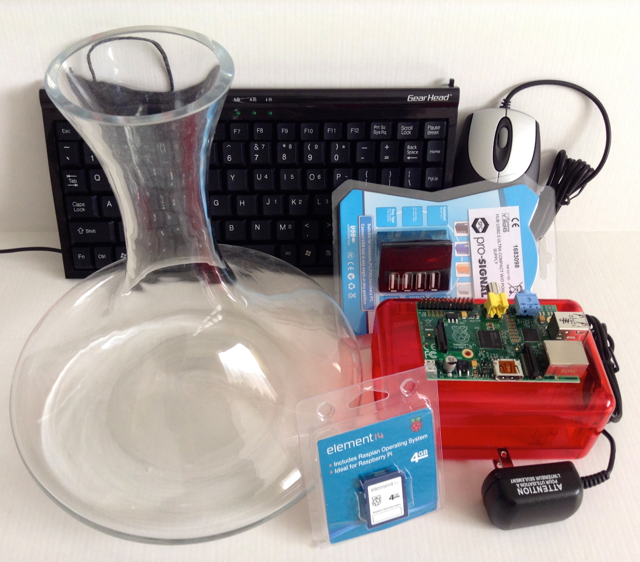 If you're not familiar with Raspberry Pi it's a small, inexpensive computer which at its heart runs a 700 MHz Low Power ARM1176JZ-F Applications ProcessorCPU with 512MB ram. 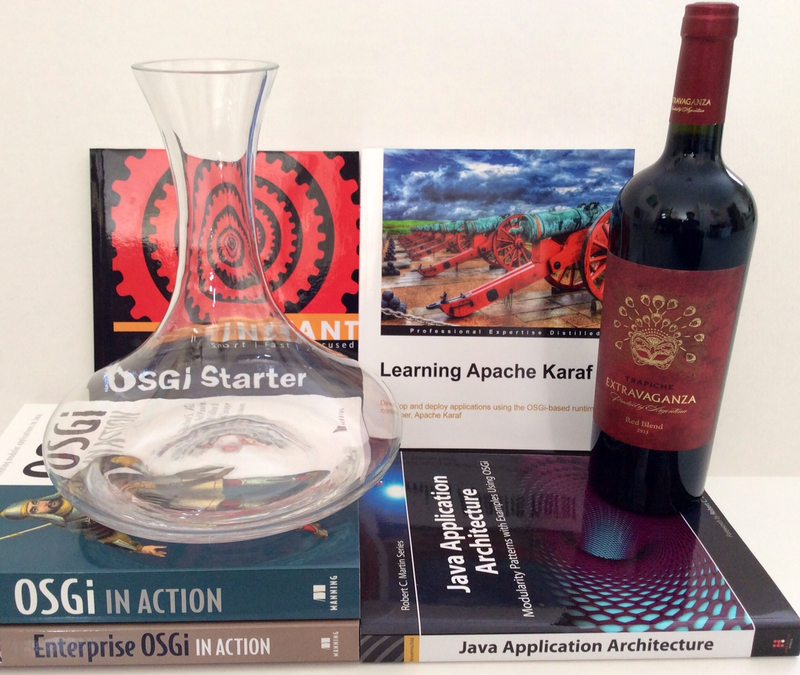 My build utilizes a Debian based Linux distro, Raspbian, and an Arm compatible Oracle JDK build. Out of the box I had to make some small modification to the Karaf shell script. The "server" flag was not recognized by the Java installation on my RPi. Editing this out of the script allowed Karaf to start up happily. I have a feeling there are lots of performance gains to be made with some careful tweaking of JVM parameters. Other than having reduced memory, IO, and CPU resources in comparison to the Servers and Workstations I'm used to working upon the RPi shown itself to be a very capable platform. What about the Service Wrapper? Unfortunately that feature still does not operate out of the box on Raspberry Pi. A Jira ticket has been filed for this deficiency, hopefully an Apache License compatible solution will be found. 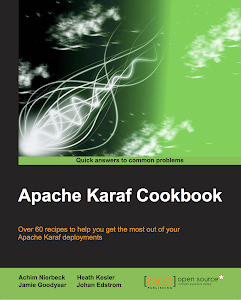 We have two Apache Karaf releases currently on our radar - Apache Karaf 2.4.0 and 3.0.1. Our next iteration of the 2.x line will introduce: The latest Aries and Pax libraries, Apache Pom 13, add support for role-based JMX authorization, includes heap dumps when we create debugging data from create dump command, blueprint-web feature, support for JAAS groups, and includes Pax CDI feature. Of course there are many other new additions, which you'll have to read about in the release notes. To prepare I've selected a bottle of Barbera D'asti Bersano 2008 to decant while listening to Arcade Fire's album Reflektor. If you're interested in watching our progress towards a stable release candidate please tune into https://builds.apache.org/job/karaf-2.x/ for our daily Karaf 2.x branch builds. This will be our first patch release of the 3.0.x line after our long awaited 3.0.0 GA. Highlights include updates to Felix, Pax, and Aries libraries, inclusion of Pac CDI, added support for displaying Gogo commands in Karaf console, and an updated OpenJPA feature. Many more improvements and bug fixes are provide, and it is highly recommended that you consult the release notes. To prepare for this patch, I've selected a bottle of Extravaganza Trapiche 2013 to decant while listening to Pearl Jam's album Lightening Bolt. 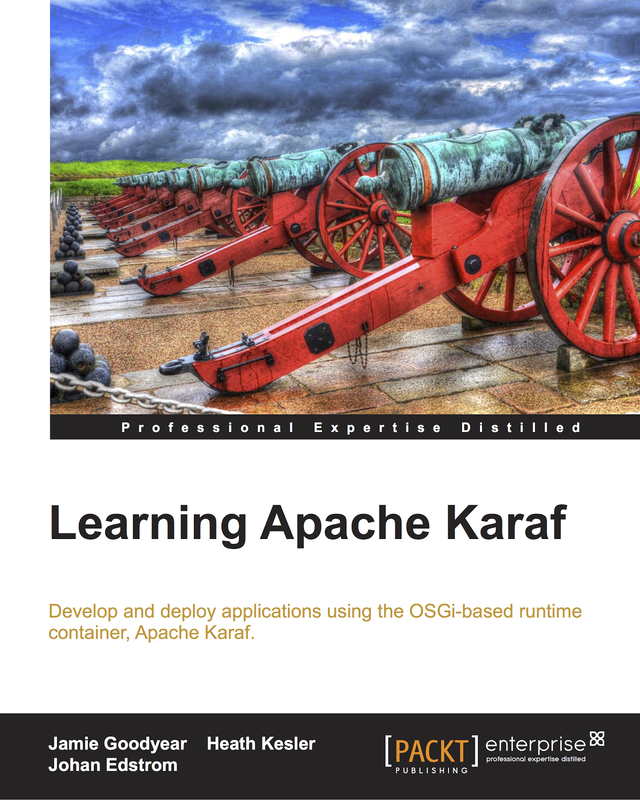 If you're interested in watching our progress towards a stable release candidate please tune into https://builds.apache.org/job/karaf-3.0.x/ for our daily Karaf 3.0.x branch builds. We've recently made the switch to Git from Subversion, and have successfully produced our first few major and minor releases under the new system. For those of you whom are interested in some of the changes that occurred behind the scenes, please visit our release guide.